In India, mung dhal completes almost any dish. It is a rich, nourishing source of vegetable protein for vegetarians. Because they are easily digestible they are one of the most important staple foods in India. Dhal is used to create delicous dahl and curry dishes. Mung dhal together with rice and spices makes the classical "kitchari", used in the diet during panchakarma treatments. 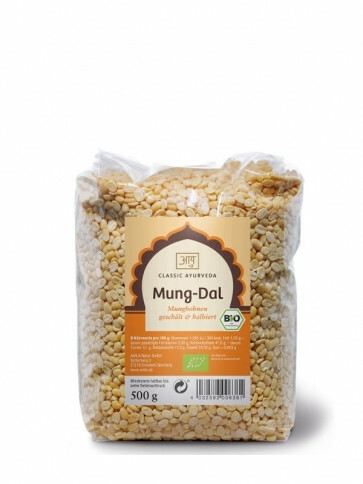 Our mung dahl comes from certified organic cultivation in small villages in Rajasthan.